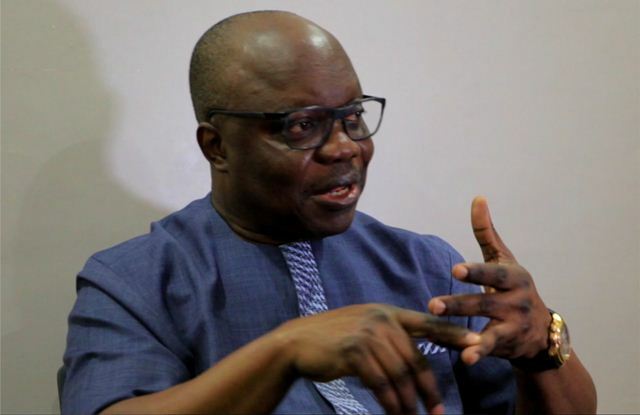 Immediate-past governor of Delta State and All Progressives Congress 2019 Delta South senatorial candidate, Dr. Emmanuel Uduaghan, has revealed why he decided to team up with Chief Great Ovedje Ogboru, the state APC governorship candidate to ensure all-round victory for the party in the coming elections. Speaking at the APC Delta mega rally in Patani Local Government Area, Dr. Uduaghan said providence brought him and Chief Ogboru together in one party because it was time for him to be governor. He said his administration successfully invested in the peace and security item of his Three-Point Agenda which has opened Delta for business investments. Uduaghan said within this period, he had also observed that Ogboru had a natural flair for business which his life has exemplified over the years. Speaking in pidgin English, he said, “there is a reason Ogboru and I are working together. After crisis comes investment. Ogboru has business sense. At some point, he was the youngest businessman in Delta State. Today, Delta needs someone with business acumen to create a lot of opportunities for our people especially the youths.